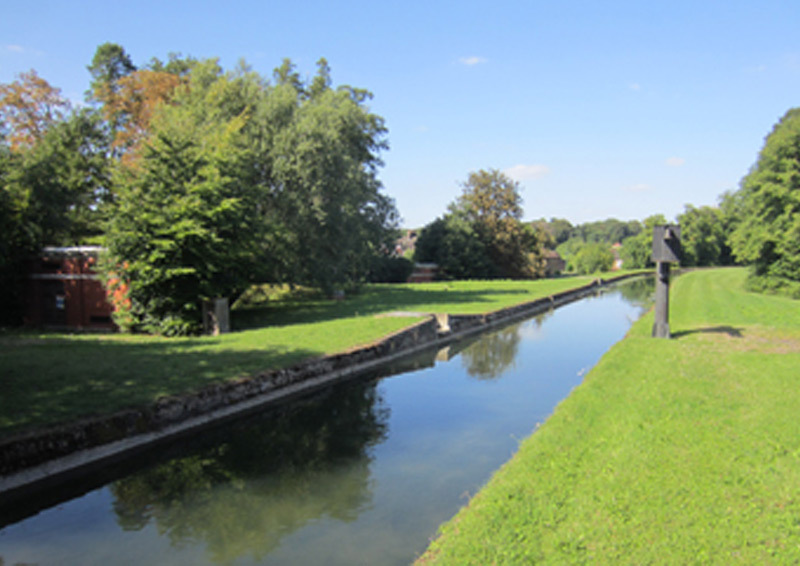 The New River is a contour aqueduct that first delivered fresh water from springs near Hertford to a large pond on the hill of Islington above the City in 1613, and through wooden pipes from there to individual subscribers in the City in 1614. The recent quarter centenary of the River, which still delivers around 8% of London's fresh water to the East Reservoir at Stoke Newington, revived interest in this remarkably long-lived element of London's infrastructure. As part of the speakers involvement, not only with the celebrations of the quarter centenary but also with a project to create a heritage interpretation, education and community use centre in the surviving historic buildings on the New River's Head in Islington. Andrew Smith summarises the history of the River from 1607 onwards and, in view of the dedicatee of this annual lecture, briefly describes John Smeaton's role in the River's life towards the end of the C18.